Gary Franke was in the middle of a meeting with the Washington state health exchange’s CEO when he received a text that ultimately changed the direction of his practice. “It said we’re getting paid zero percent from Group Health Cooperative for their PPO plans,” Franke said. Because they were losing money on these plans, Group Health stopped paying commissions for new business. Up to that point, Franke said, he had been thinking about charging a broker fee instead of relying solely on commissions. But when he first raised the issue to a group of his peers, he didn’t receive much encouragement. · Option 1: No fee if a prospect enrolls in coverage using Franke’s online video web platform as their own, provided that the prospect lists Franke as their broker. Despite this option being fee-free, Franke says his company is still available to support clients with any needs they have during the year. · Option 2: If Franke or his staff helps a prospect sign up and enroll in coverage, the fee is $99 for one person or $198 for two or more people. · Option 3: If a prospect buys a life insurance or disability insurance policy from Franke, he will waive the broker fee for one year. Franke’s move to a fee-based practice comes as health insurance brokers try to adapt to a world where commissions on individual plans are evaporating. Before the Affordable Care Act implemented the medical loss ratio (MLR) on insurers, broker commissions averaged 5 percent based on monthly premiums for individual plans, according to a Modern Healthcare report. Today, many Blue Cross plans as well as four of the nation’s largest health carriers have reduced or eliminated commissions for individual plans. 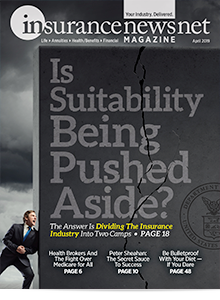 In a 2016 survey of its members who sell health insurance, the National Association of Insurance and Financial Advisors (NAIFA) found 93 percent experienced reduced or eliminated commissions on the sale of individual health plans. More brokers are looking at moving to fees as a way to get paid to serve their clients, according to another NAIFA member study. 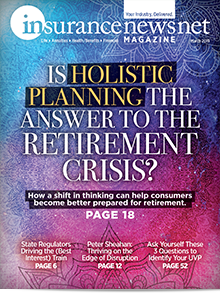 More than half of the NAIFA members surveyed said they would charge fees if commissions continue to remain low. For the past two years, Franke has charged a fee to enroll people in individual health insurance. He said that he started the move to fees “with confidence.” He informed people in advance of his plan by writing a blog about it and sending it to his clients. He also added information about fees to his PowerPoint slide deck and created a YouTube video on the subject. Prospects who call his office receive a voicemail message in which he spells out the fees. Now that he has wound up his second year of charging fees, Franke said. One reason many clients were willing to pay the fee, Franke said, is because so many brokers in his area have left the individual market. In addition, Franke’s practice serves many workers who serve as independent contractors to the technology industry, so they have to buy their own health insurance. 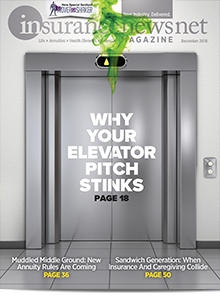 Franke estimated that he lost about 5 percent of his clients when he switched to a fee-based practice. But he made about $24,000 in broker fees during his first year of charging fees and made between $25,000 and $26,000 in fees in 2017. As an example, he mentioned that some brokers in his area had stopped selling one particular health plan in favor of another one that was more expensive. For Cathy Bajkowski, moving to a fee-based practice for her clients is “a work in progress.” Bajkowski is owner of CB Health Insurance in Elmhurst, Ill., specializing in health insurance for individuals and employer groups of 50 or fewer. Two years ago, Bajkowski said, she began charging a fee to those she helped sign up for coverage outside open enrollment periods. From there, the decision was made to move to a fee-based practice. 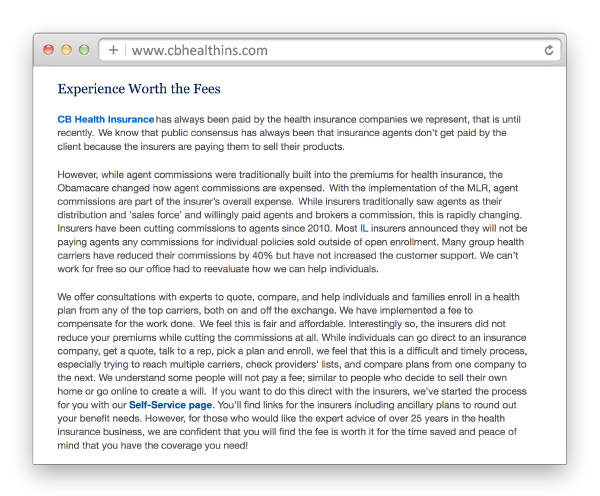 CB Health Insurance’s website includes an explanation of why fees are charged. The explanation describes how agent commissions have been cut since 2010 as a result of the MLR. The website also notes that most Illinois health insurers aren’t paying agent commissions for individual policies sold outside open enrollment, while many group health insurance carriers have cut their commissions by 40 percent. “For those who would like the expert advice of more than 25 years in the health insurance business, we are confident that you will find the fee is worth it for the time saved and peace of mind that you have the coverage you need!” the website states. Bajkowski charges $250 to individuals to run quotes and check provider networks. For groups, she charges a one-time setup fee of $250 for groups of one to four members, $500 for groups between five and nine members, and no fee for groups of 10 or more. She will do a free 20-minute initial consultation to determine whether she is able to help a client obtain coverage. The first step in moving to a fee-based practice is a mental one, according to a consultant who has advised many brokers along this journey. Karen Kirkpatrick is owner of On Your Mark Consulting in Bronson, Mich., and has conducted a number of industry seminars on making the switch. Everyone at the agency must be on board with the change to fee-based, Kirkpatrick said. After the decision to change is made, the next step is realignment. “You have to realign your resources, your staff, your producers to be able to support this model,” she said. At the root of establishing a fee structure is determining each client’s return on investment (ROI) to the agency, Kirkpatrick said. In addition to determining ROI, the broker must determine their value proposition to retain those clients with the highest ROI and to cross-sell those clients whose ROI isn’t as high and get them higher. 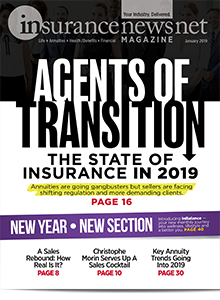 “You can take an independent agent with six employer clients, representing 3,000 lives, and they could be good with those six clients and double their revenue simply by cross-selling other products,” Kirkpatrick said. “Everyone allocates their resources based on size of client or high name exposure of the client, and it’s done wrong,” she said. Kirkpatrick said brokers also need to know the agency’s operating costs, which will be taken into consideration when determining ROI. Commission earnings also are a factor. The next step is for brokers to determine a goal for their agency’s earnings, Kirkpatrick said. Establishing fees amounts to an “educated guessing game,” Kirkpatrick said. It takes into consideration all of the products and services a broker offers, the broker’s commissions data, the time tracking, and ROI per client. Offering workers’ compensation insurance is another feature that brokers could partner with a property/casualty agent or bring in the P/C side of their agency, if they have one, to add to their group client offerings, Kirkpatrick said. If a health insurance broker is working with a P/C agent or the P/C side of their agency, then they could come up with a three-tiered fee structure depending on what services they will offer to their clients, Kirkpatrick said. But for brokers who are working only with life and health insurance, she said, a good start is to establish what she called a “Tier 1 model,” where the baseline is an amount that covers operational costs with perhaps a 10 or 15 percent profit, and then decide what will be included in that fee. How difficult is it to explain the fee-based structure to clients? Kirkpatrick said it’s not difficult as long as the broker is transparent with the client. Here are her suggestions for approaching the subject. Tell the client that although you receive commissions from a carrier, you don’t always agree with that carrier’s product offerings. You would like to be able to present the client with different products that may be better for them but may not always come with commissions. You cannot work for free. So although you are being paid by the carrier to sell insurance, that payment is only for selling the product. What about all the client meetings, enrollment assistance and HR assistance — who is paying for that? An alternative way she suggested to approach the subject would be to tell the client that the carrier commission covers the cost of holding an enrollment meeting for health insurance and helping the client determine the plan that is best for them. But if the client needs the broker to do enrollment assistance or claims advocacy, then there will be a fee. A variety of factors go into what Rob Krieg called “the internal pricing calculator” that determines the fees his firm charges its group clients. That fee usually is set up as a per-employee/per-month amount. Krieg is area vice president for health and welfare consulting with Hill, Chesson and Woody, a health benefits firm serving midsize employers in Durham, N.C. In setting a fee for group clients, Krieg said his staff first estimates the resources that their firm will use for a particular client over the next 12 months. Krieg said his firm has experienced diminished commissions, much as other brokers have seen. But although they are still receiving carrier commissions, those commissions usually go to offset a consulting fee agreement his firm has with its clients. The employer clients get a choice, Krieg said. Does the client want Krieg’s firm to carve out all the commissions and have the client pay the firm directly? 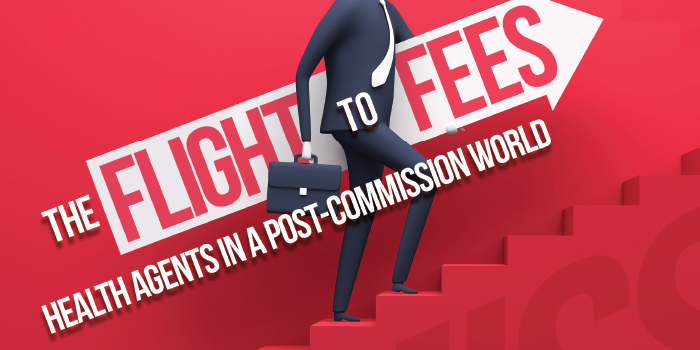 Or does the client want to have the commissions offset the consulting fee? 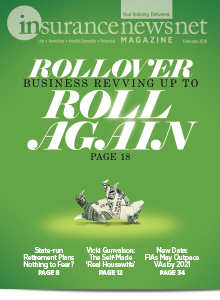 Although Krieg said his clients have responded favorably to the shift his firm made to fee-based over the past five years, some clients needed to be educated about the reasons behind the move. Krieg said his firm’s move toward charging fees came along with its shift in focus from being a benefits broker to being an employer consultant. His advice to others who are thinking about moving to a fee-based practice is not to be afraid to have the “consultant conversation” with clients. 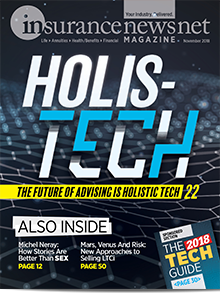 “We want to be consultants for our clients, and the best way to show them we are acting in their best interest, that we are their trusted advisor, is by having an agreement with that client where they are compensating us,” he said.